Founded as Auburn Letter House by Esther Kline in 1946, it used to be the place to have your service club newsletter typed and reproduced. She started with an IBM typewriter and a mimeograph machine in the Livingston Building in downtown Auburn. Ms. Kline later bought a duplicator printing press and moved the business to 933 Lincoln Way. She sold the business to Helen and Andrew Lord, who ran the business with their sons, Drew and Craig. In 1984, Brad Weston and Merrill Kagan-Weston purchased the business from Helen and Andrew Lord. 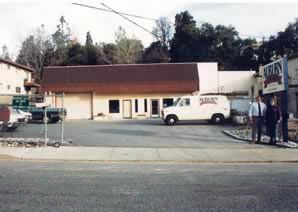 With their combined 15+ years as printers in large print shops in Southern California, Brad and Merrill shifted the company focus from copies and stationery supplies to offset printing, and revised the business name to Auburn Letter House Printers. With a solid knowledge of the industry and sincere attention to customers' needs, the business quickly took off and outgrew our storefront in downtown Auburn. 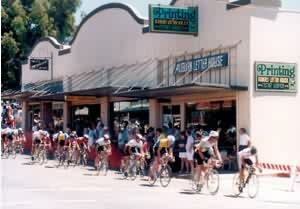 In 1989, the shop was moved a bit off the beaten path to Hoffman Avenue, into double the square footage. More sophisticated prepress and bindery equipment, as well as a larger, multi-color press were added, and we became a quality lithographer, specializing in short-run publications. In 1997, we broke ground on our own 10,000 square foot facility at the Auburn Airport Industrial Park and moved in March of 1999, once again doubling the square footage. In October of 2002, we installed a 5-color Komori Lithrone press. We have always strived to meet the demands of our customers. In 2004 we added a complete Mailing Department. Our new equipment includes a SECAP Addresser, Tabor & Satori Presort, and NCOA software, as well as a Mailcrafter 6-station inserter and high speed envelope feeder. Looking to meet the growing needs of our clients to market beyond the standard printed piece, in 2008 we added the Canon 7000V Digital Press, featuring Variable Data software and Mindfire (PURL) One-on-One Marketing. We have continued to expand our marketing solutions, ensuring that our customers can stay competitive in today's economy. In 2012 Auburn Printers was rebranded as APi-marketing, to help show our commitment to offering not just printing, but complete marketing services. Though we still put ink on paper every day, we are now better poised to offer our clients a more comprehensive marketing solution. Through our Marketing Services we are able to merge traditional printed marketing strategies with todays technology, to offer greater impact to our clients' marketing dollar. Brad and Merrill have many long-time employees who have helped with the growth of the business. We take pride in our honest and committed relationships with our customers. Whether it is turnaround or quality, we never promise anything we can't achieve! Get the latest marketing tips!